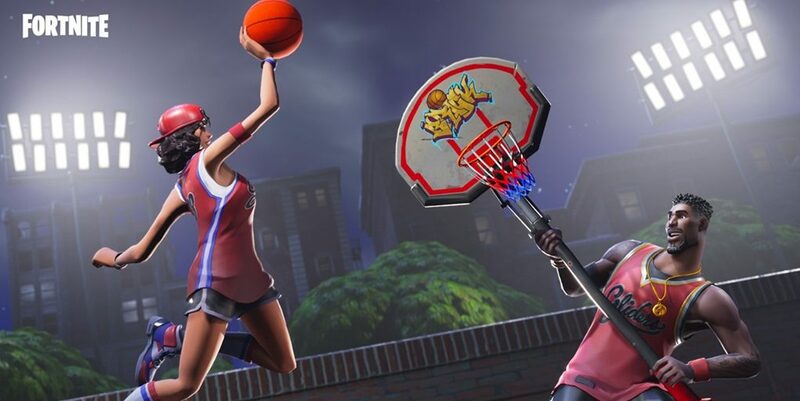 A Fortnite fan decided to blend Dude Perfect trick shots with Fortnite to bring an entire basketball compilation. Dude Perfect is one of the most subscribed sports channels on YouTube with 40 million subscribers. Dude Perfect has been around the internet for 10 years, spreading and sharing their love for sports by making insane shots using different objects ranging from basketballs, footballs, paintballs, and even paper planes. The FortniteBR subreddit exploded in excitement once fans began to see gar_96’s video. The video is just over 2 minutes and 30 seconds long as he takes shots all around the Fortnite map. At 15 hours, the post has gained over 4,000 upvotes and the poster was guilded twice, allowing the video to reach the top of the FortniteBR subreddit. Gar_96‘s video begins with him in Retail Row, shooting baskets on top of a tree and making shots across the entire court. The video picks up in difficulty as Gar_96 begins to land shots with awkward angles, multiple bounces, and ricohets. Our favorite highlight from the Fortnite x Dude Perfect video is when Gar_96 rides down a ramp in a shopping cart and makes the shot with ease. The most difficult shot in the video is around 1:42, when Gar_96 pulls a backflip off a ramp and still manages to make the shot. Trick shots aren’t new to Fortnite, as gamers love recording shots using the ATK or Quadcrasher, like this clip from FaZe Clan’s Turner ‘Tfue’ Tenney. What is the craziest trick shot you have landed in Fortnite? If you have a clip, send it to us on Twitter at @FortniteINTEL!